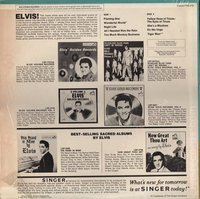 Cover Front: RCA upper left corner. 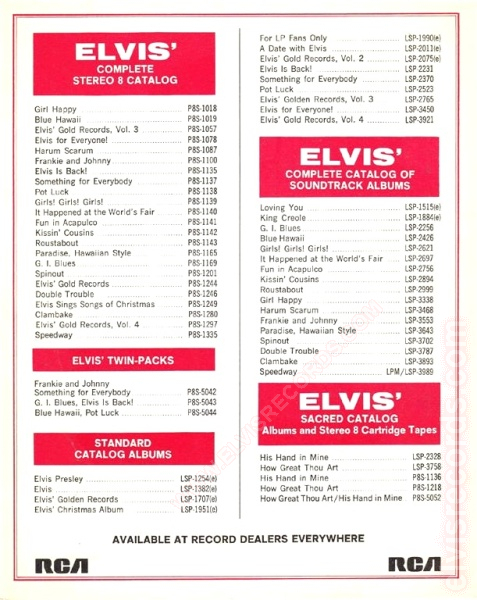 Stereo upper right corner. 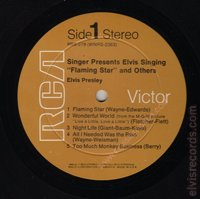 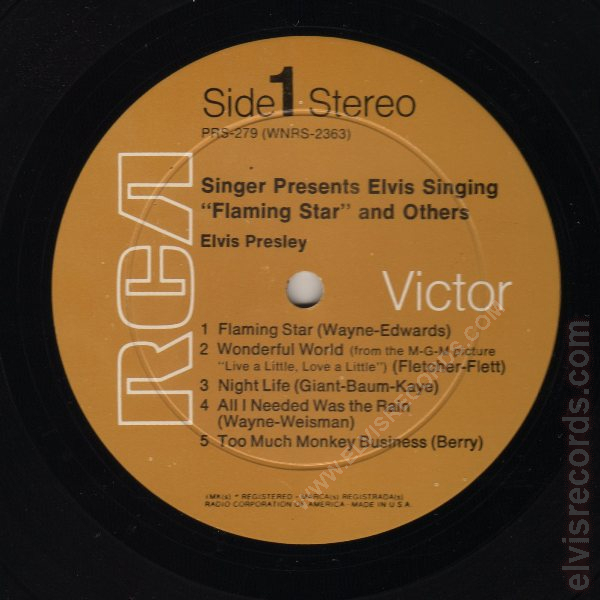 Singer Presents Elvis Singing Flaming Star and Others. 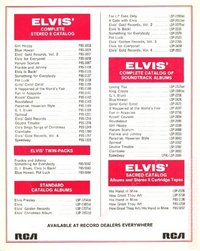 No song titles. Disc: Mustard label. Rigid vinyl. An 8" x 10" Elvis photo not packaged with the LP, but distributed with the LP. Elvis in brown suit with white shirt, red scarf. 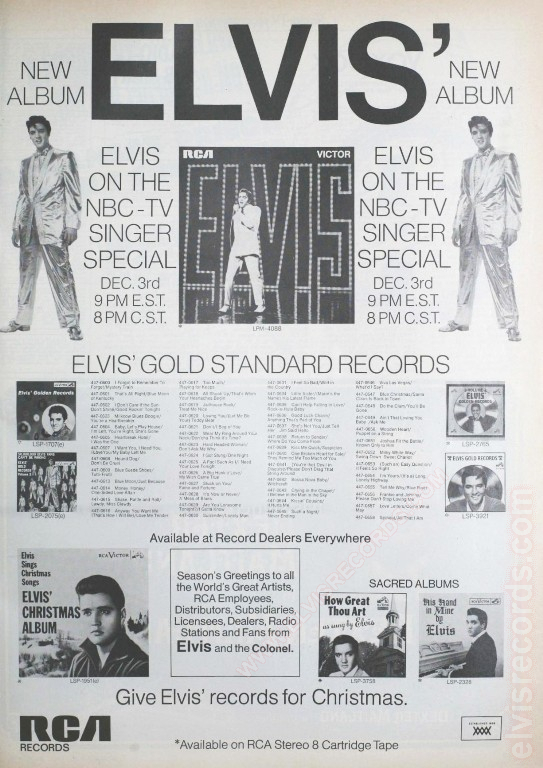 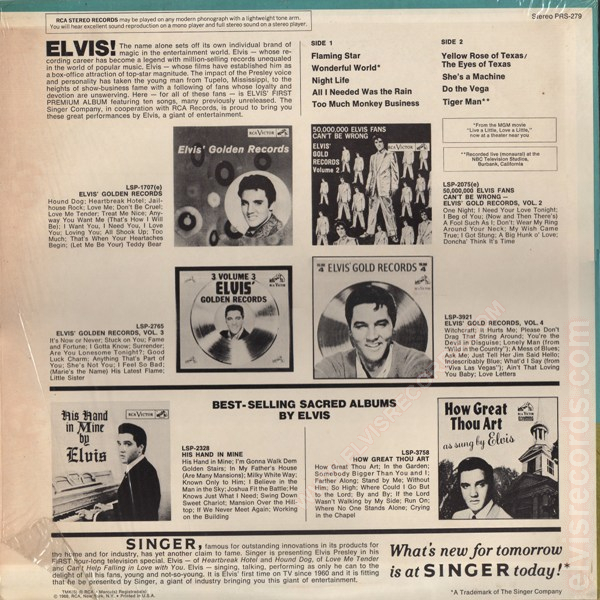 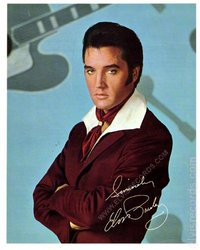 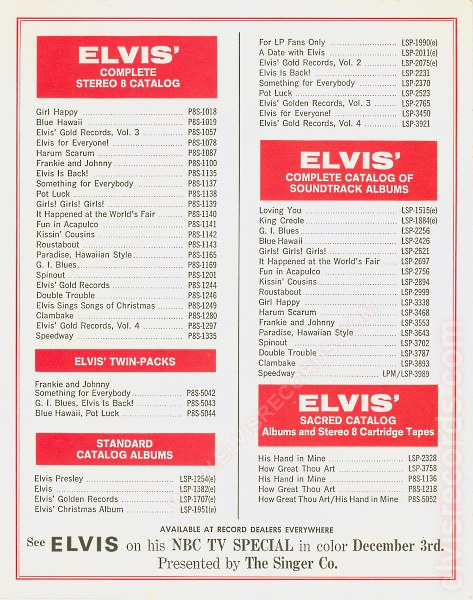 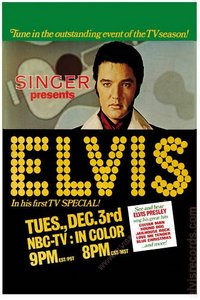 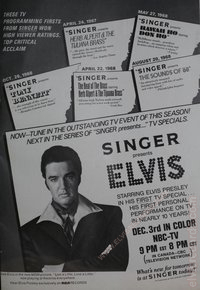 "Sincerely Elvis Presley" printed autograph - Back may or may not advertise Singer & Co. TV Special. 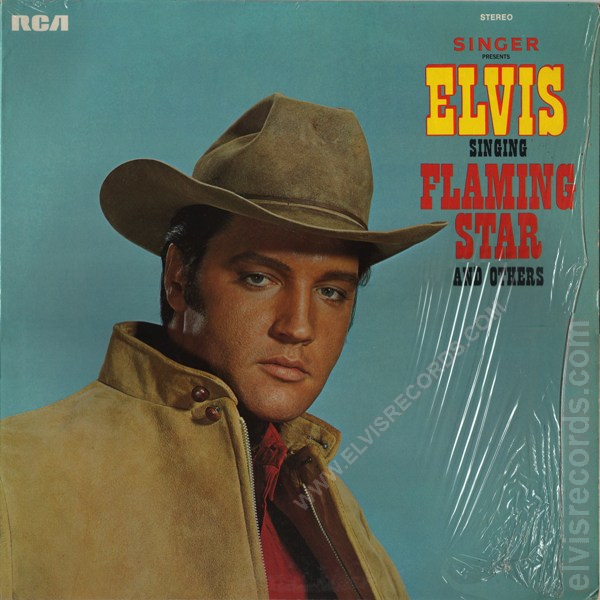 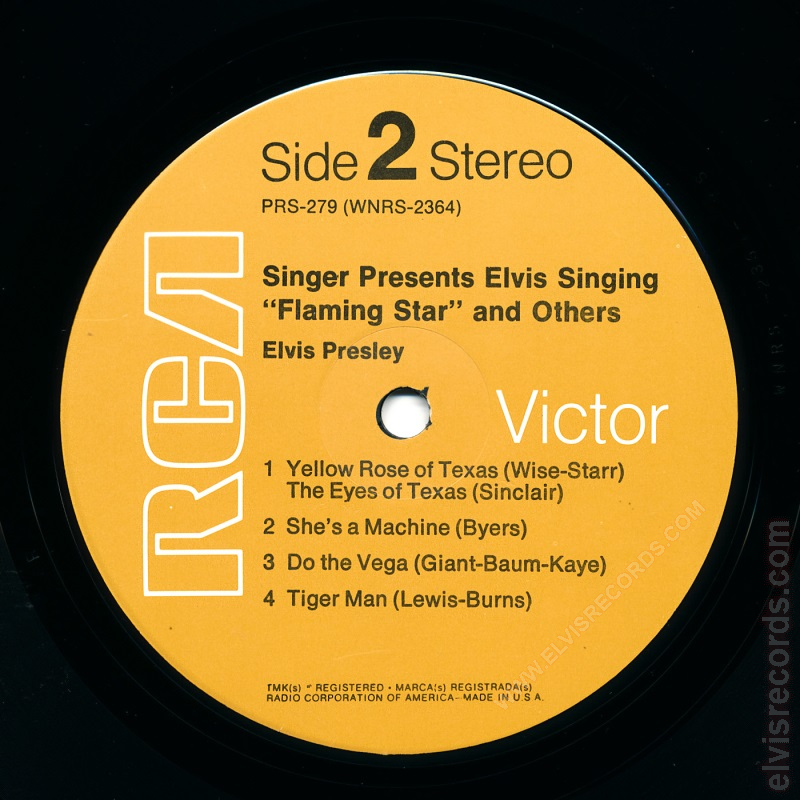 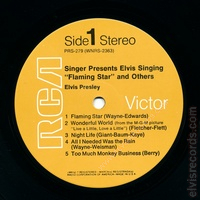 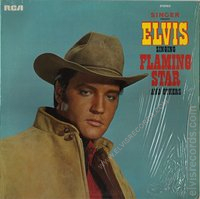 Re-released as CAS-2304 Elvis Sings Flaming Star in 1969. Images of advertisements taken from 11/30/1968 Billboard Magazine. 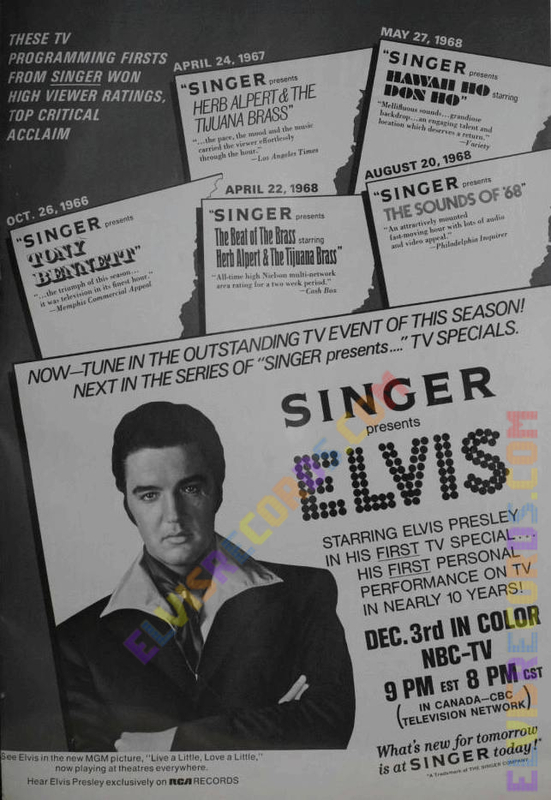 The color image in the middle is a poster of the event.